OZONE TREATMENT: R10 PER CUBIC METRE. MIN R500. TO CARRY OUT THIS TREATMENT PROPERTY OR ROOM WILL NEED TO BE VACATED FOR PROCESS (2HRS TO 24HRS) AND 2 HRS THRREAFTRR ON AVERAGE. Brett on 079 233 9523 R15-R30 per sqm. 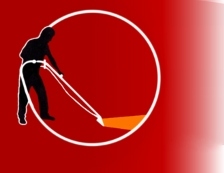 Commercial Pricing/square metre for carpet cleaning varies for different applications. Range R6/sqm to R15/sqm. Please contact us for free on site visit and quote. For all other services please contact Brettt 079 233 9523 for free visit and quote.